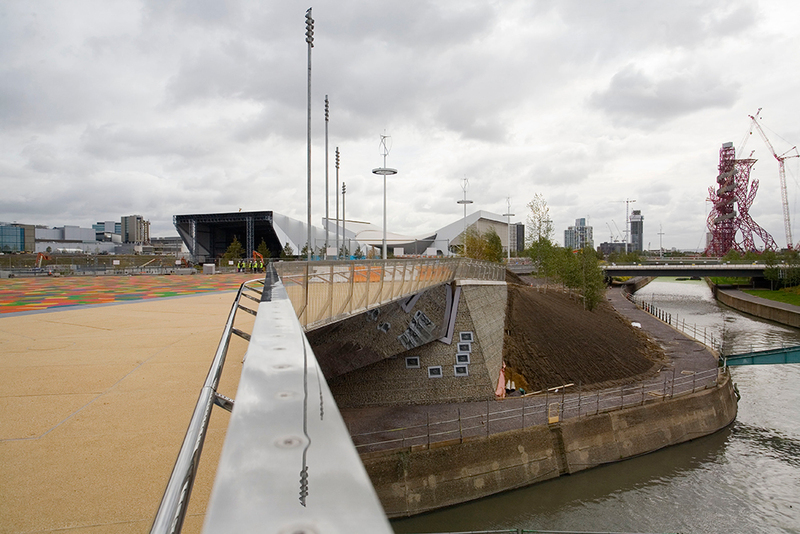 Charles Brand was awarded the Central Park Bridge situated on the central pedestrian concourse running north to south and close to the Olympic Stadium, it spans the River Lea, forming a key connection between the Basketball Arena, the Aquatics Centre and the Olympic Stadium. 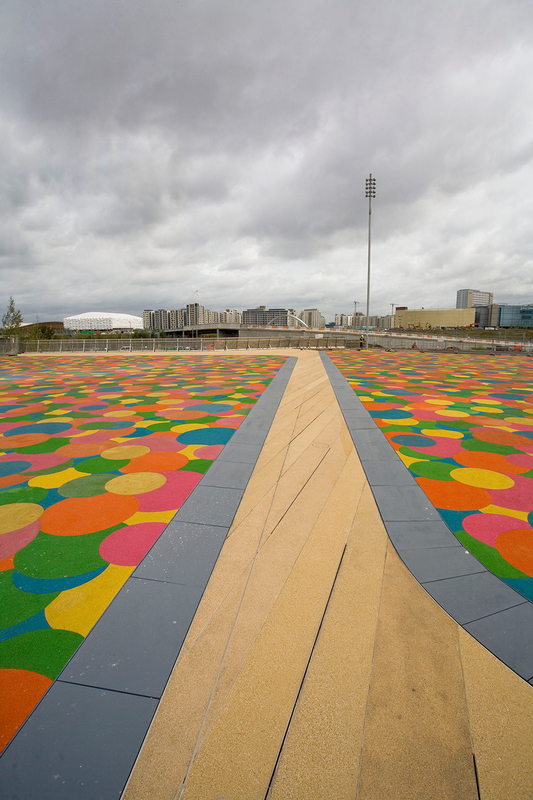 The Central Park Bridge has been described as the most important in the Olympic Park due to its key location and bespoke design resulting from a design contest. 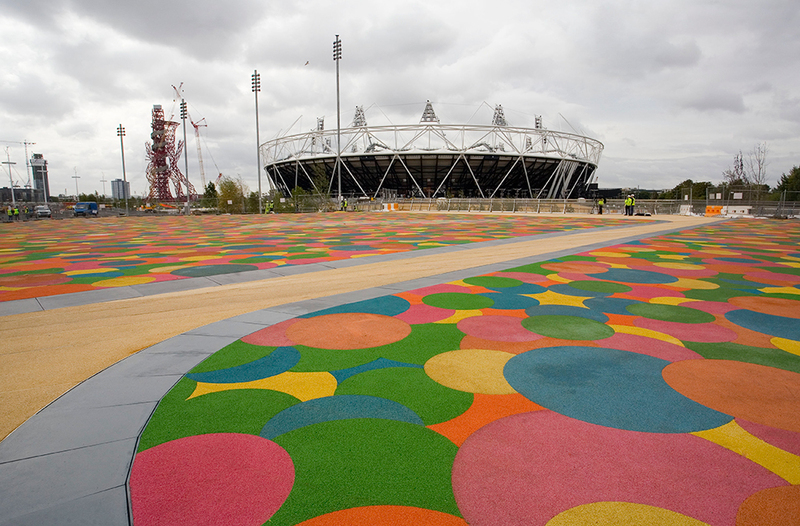 The Olympic infrastructure contracts were vitally important to the success of the Games, creating a comprehensive network of access roads, footways, bridges and associated infrastructure to ensure that personnel and materials can be delivered to each work site with the minimum of disruption. Central Park Bridge comprises two permanent footbridges connected by a permanent diagonal footbridge spanning Carpenters Lock, as well as temporary decking for use during the games. The two permanent spans are 9m and 7m wide, spanning 30m across the waterway to abutments on either side. The third span at 2.6m wide runs diagonally between these sections. The structural elements for the permanent footbridges is constructed from steel trusses and designed to have a 120 year life, the whole structure is cladded in mirror polished stainless steel. 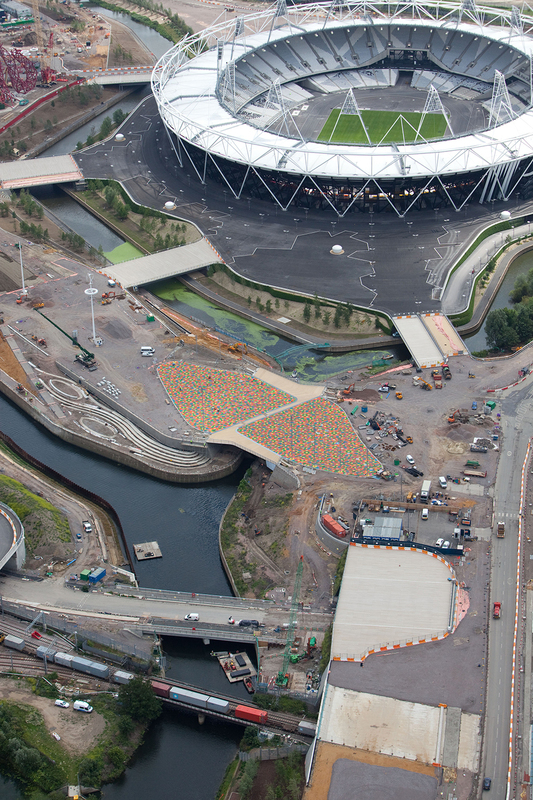 The project brief also included temporary decking constructed between the two permanent 30m spans and embankments, providing total temporary bridge width of approximately 60m, to accommodate the anticipated crowd numbers during the Games. Charles Brand also built the retaining walls and reinforced soil slopes for the bridge structure along with drainage works, electrical works including up lighting, landscaping, feature surfacing and temporary bridge maintenance. It is was also responsible for removal of the temporary deck and landscaping following the Olympics, to ensure its use in legacy objective.